The street we know as Pomeroy Avenue was once called Division Street. In October, 1923, the street name was changed to Pomeroy Avenue, when a petition for this change was presented to City Council by property owners. Eleazar L. Pomeroy was born October 19, 1825, at Granville, Massachusetts. Mr. Pomeroy, along with his brother, S.B. Pomeroy, came to Chicago in the early 1850’s and established a grain commission house. Together, they owned three grain boats, grain elevators and valuable dock property. E.L. Pomeroy was a charter member of the Chicago Board of Trade. Mr. Pomeroy’s wife, Mary F. Hastings, was born April 1, 1838, in Salem, New York. The couple was married in 1863 and lived in Oak Park, Illinois, until 1868. At that time, Mr. Pomeroy’s poor health forced him to retire from business and they moved to Crystal Lake. In 1871, E.L. Pomeroy purchased the family home and many acres of surrounding property. In 1874, Pomeroy had a plat made of “Pomeroy’s Addition to Crystal Lake.” The plat was done by surveyor John Brink who did the original survey of Crystal Lake. Pomeroy’s Addition consists of 7 blocks containing 169 lots, including Pomeroy’s large home lot. 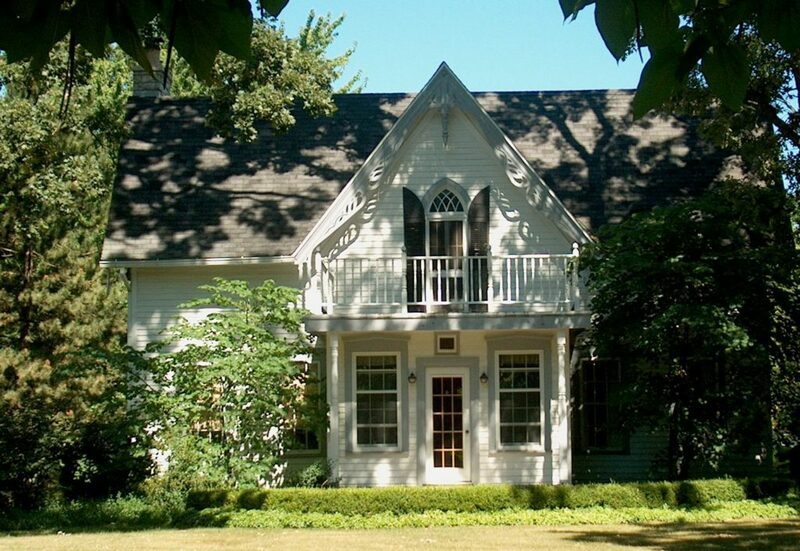 This gothic revival home still exists at 160 Pomeroy Avenue. The Pomeroy’s had two sons and a daughter. The Pomeroy family was very active in the First Congregational Church. One of the church’s beautiful sanctuary windows bears the Pomeroy name. E.L. Pomeroy died August 15, 1899, and funeral services were held at the house. Mary Pomeroy died January 27, 1920, at her daughter’s home in Chicago. Two years after Mrs. Pomeroy’s death, their son, Edward D. Pomeroy, held a large sale of additional lots to Pomeroy’s Addition. The lots in the first block of Pomeroy had all been purchased and most houses erected prior to this sale.